2018 has been another busy year for us at BioResources. We have continued to make improvements at our Woodford insectary. Our Anastatus production and clientele has steadily increased with more and more growers giving us good feedback on FSB and spined citrus bug control. We are set to further increase production this year and are now ready to take on more clients. Call us to discuss a program and the suitablity of your farm for Anastatus releases. MacTrix releases have also increased as more trees come into production and macadamia nutborer is still causing concern but at very significantly lower levels than before the commercial release of MacTrix. Growers are increasingly aware of the benefits of the area-wide management of pests with biocontrol agents. 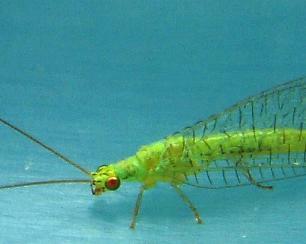 We think use of our latest product green lacewing adults, is also set to increase markedly. 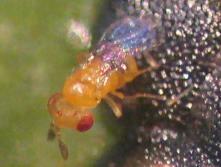 Its a generalist predator that feeds on small insects including lace bug, aphids, moth eggs, scale and various mites. Beneficial insect numbers get decimated during the "spraying season” so now is a good time to place an order and re-start a lacewing population. Releases commencing February. We are into the last year of our macadamia inter row management project that is part of the larger HIA Macadamia IPM project. There's a lot of research worldwide as well as strong local observations by consultants and growers that more diversity and growth in the inter-row provides a better environment for natural enemies. We are testing this hypothesis running trial sites where we compare inter-row management practices for their impact on plant diversity and abundance of "non-economic" insects which are the building blocks for natural enemies of our pests. The trail site growers have been very co-operative, helping work through the various practical issues. Meanwhile, the the massive reduction in insect diversity world wide is getting some press. With modern agricultural methods as one of the causes. We look forward to another interesting and challenging year and hope yours is a good one too.